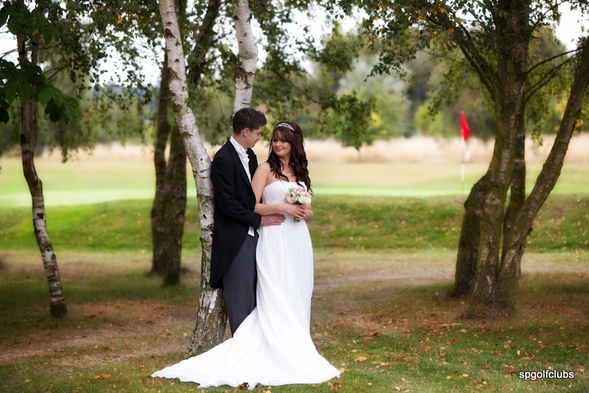 Our venue offers you stylish surroundings for your guests and picturesque backgrounds for your wedding photos. Compliment this with our excellent service and friendly atmosphere and you will have the perfect setting for your wedding celebration. 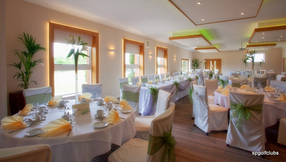 We have a range of set packages or our award winning chef can tailor a package to you needs. 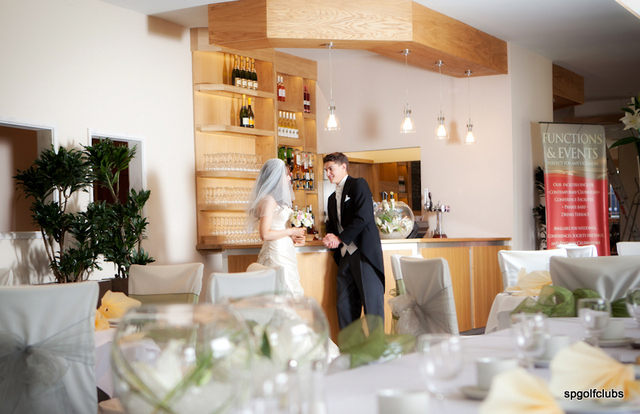 We are more than happy to show you around the room, please call us on 01902 380073 (option 2) to arrange a visit. 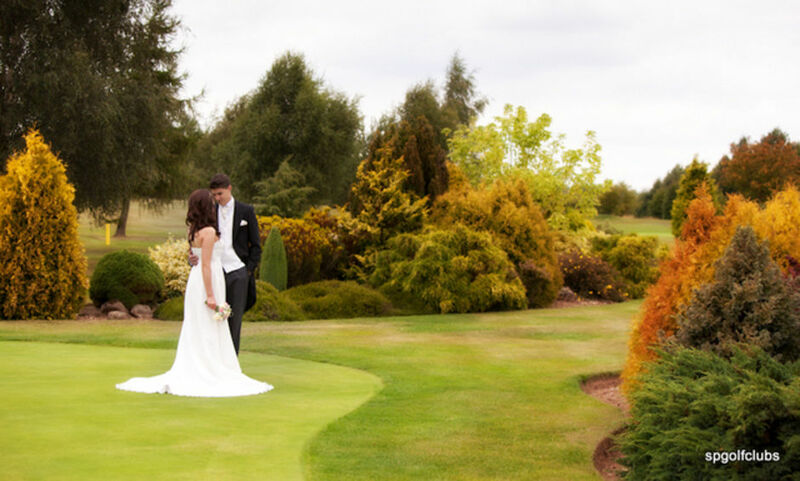 Located only 6 miles outside Wolverhampton City Centre, Perton Park Golf Club holds a constant surprise to visitors to find such an idyllic setting and provides continuous pleasure to its visitors. 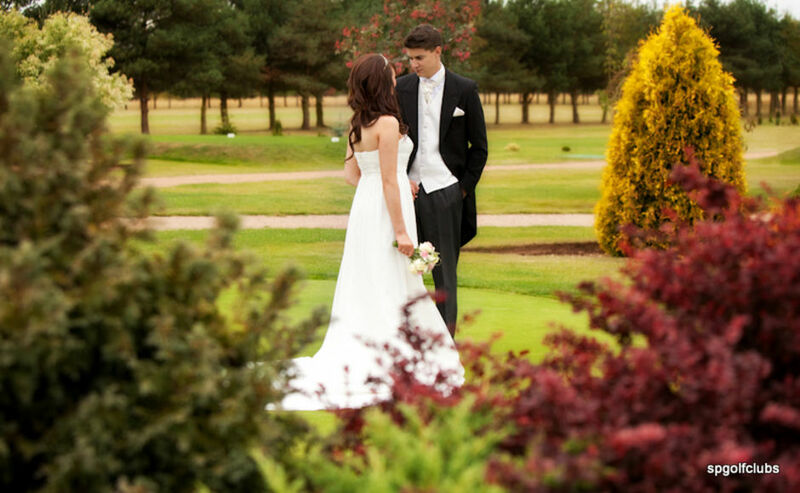 Our extensive grounds offer a beautiful setting for your wedding reception and excellent photo opportunities allowing you to create the memorable images you want. 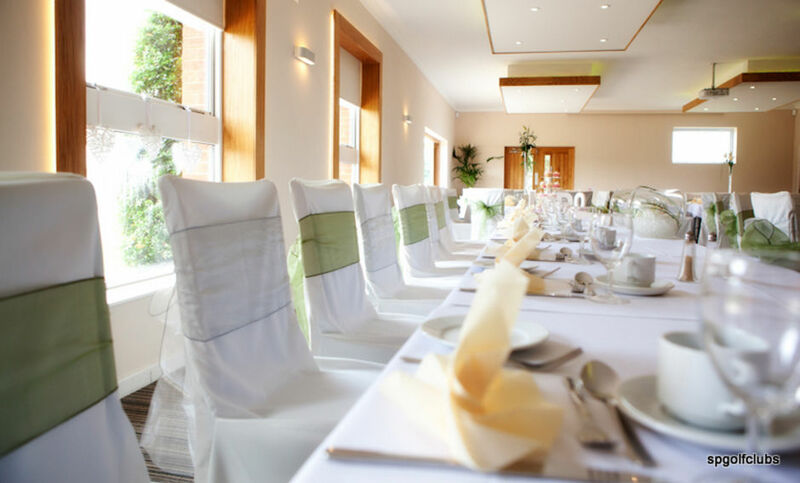 At Perton Park we also only allow one function per day at allowing you exclusivity of our venue to make your day extra special. 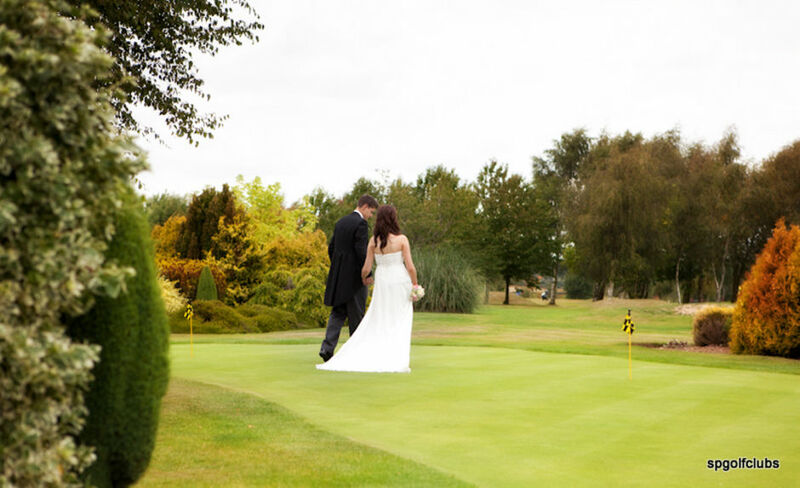 The welcoming atmosphere and charming countryside setting of Perton Park Golf Club, make this venue a delightful choice for your wedding reception. Our club house is furnished in a contemporary style which features a fully stocked, private licensed bar and dance floor along with a large patio area and large tree lined private garden with views of the surrounding golf course and countryside. 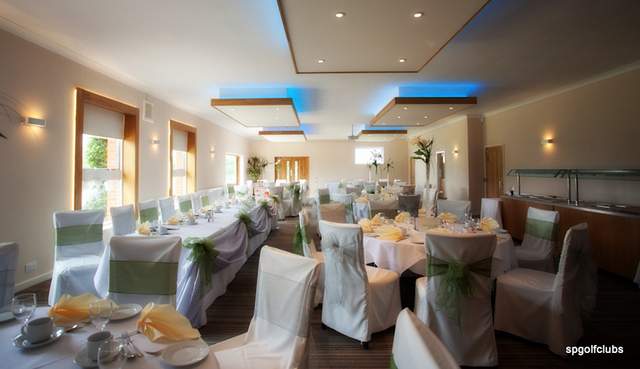 The venue comfortably accommodates up to 100 seated guests and 140 guests for less formal evening gathering. 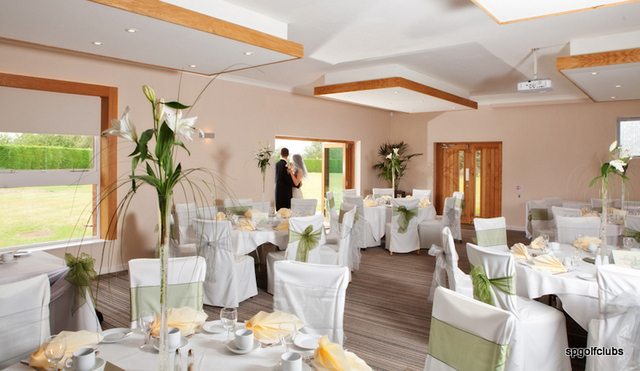 We also offer a stylish neutral backdrop that can be themed and decorated to suit your individual style. We have a large area for marquees for up to 1000 guests. Incorporated in the room is the latest LED lighting which allows us to colour coordinate the lighting of the function room to suit your wedding colours. 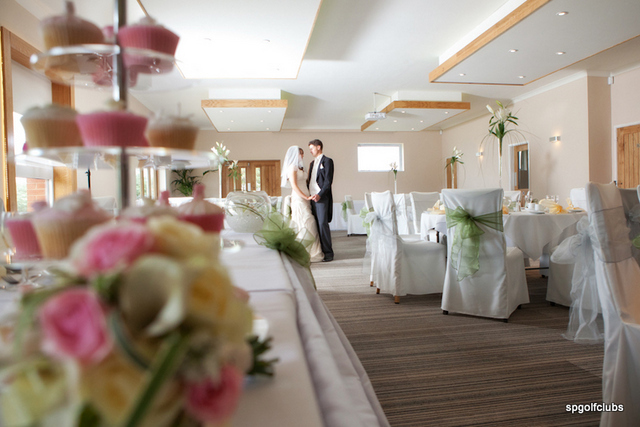 This is a complimentary service we offer for all of our weddings. 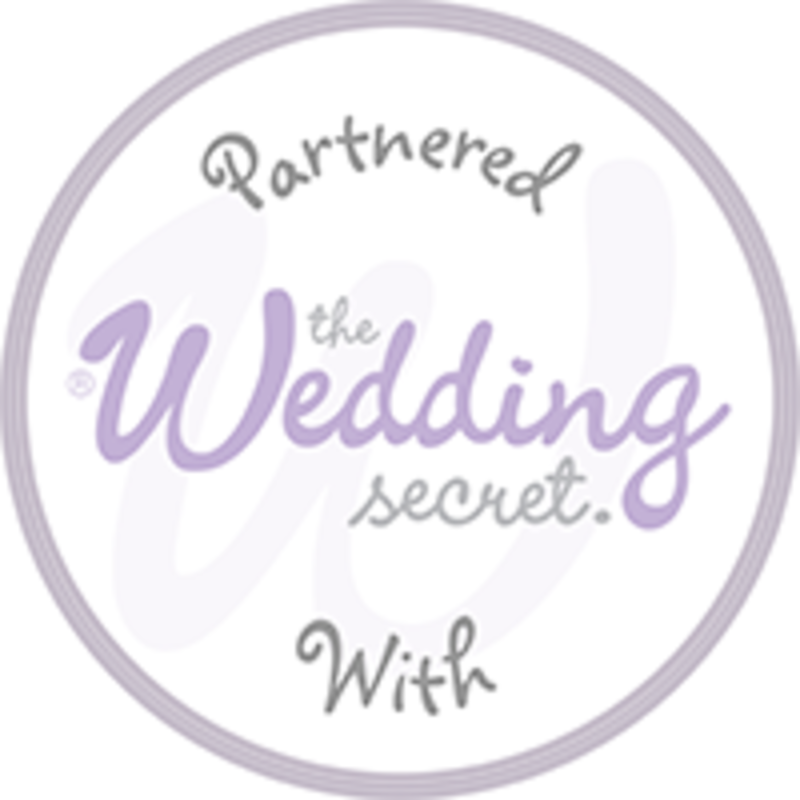 Please click here for our current wedding brouchure.